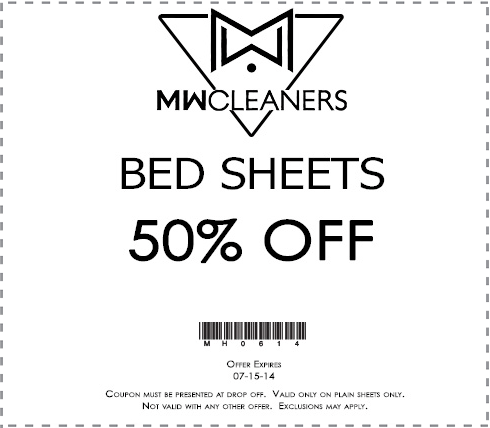 MW Cleaners Coupon – Clean One Shirt, Get One Cleaned FREE! 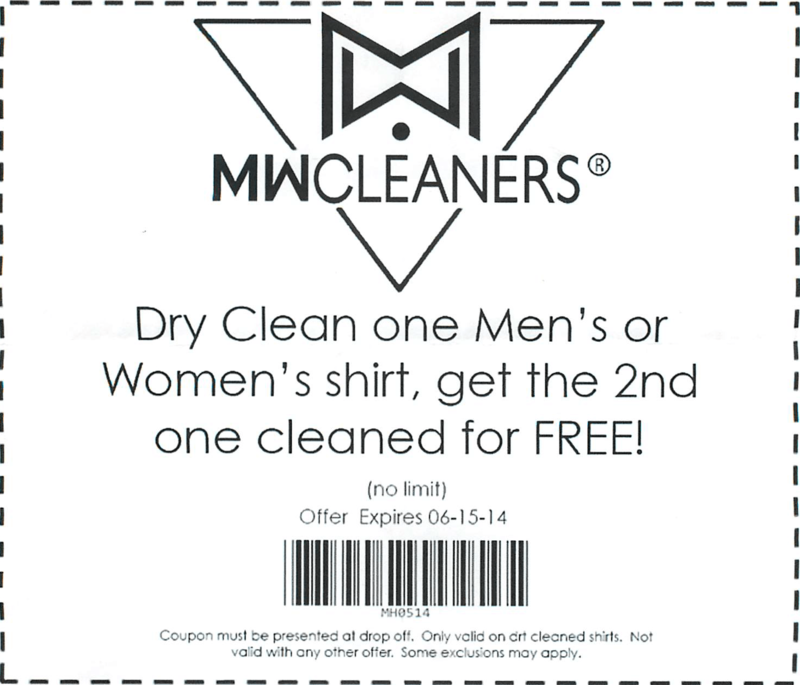 Here is my favorite monthly coupon from MW cleaners thus far, Dry Clean one Men’s or Women’s shirt, get the 2nd one cleaned for FREE! I took 16 shirts in (it had been a few weeks since I took any) and only had to pay for eight! It is only good for five (5) more days, so don’t delay! Each month a new coupon is posted by MW Cleaners on their site on the “Monthly Specials” page, http://www.mwcleaners.com/monthly-coupon.html. You can get a reminder of the coupons in an email by signing up on this page. The above coupon is from May, each month the old coupon is replaced even though the coupons are good until the 15th of the month following their release (note, the above coupon is good from May 1, 2014 till June 15, 2014). Always bring your coupon when dropping off you clothes, or if you do pickup/delivery then including with your clothes – and call to tell them about it. If you can’t bring it when you drop off then tell them you have it and will pay when you pick up, and then bring it when you pick up your clothes. Below is this month’s coupon, Bed Sheets 50% Off, which I don’t plan on using, but I hope somebody who does gets to save some money! To download the “Clean One, Get One Free” coupon I am so excited about as a PDF that is ready to print click here. ← The Devil: Alive and Well? MW Cleaners, the only place to consistently ruin clothes that they can’t afford to fix or replace. Spend $5 dollars more to go to a dry cleaner that doesn’t run your clothes through a front-to-back warehouse and clean them quick and cheap.